Located in the heart of one of the country’s most senior-friendly cities, the Marilyn and André Danesh Residences at 100 Centre Street are part of Center Communities of Brookline. Located in the heart of one of the country’s most senior-friendly cities, the Marilyn and André Danesh Residences at 100 Centre Street are part of Center Communities of Brookline, three high-rise apartment buildings that, as part of Hebrew SeniorLife, offer a wide range of programs, amenities, and support services. Among these programs is a vibrant Jewish community that welcomes people of all faiths and traditions, as well as people of a secular orientation, for study, worship, and memorial events. Most Jewish events, including Shabbat and weekday services, Jewish learning, and Shabbat dinners, take place in our first-floor Community Room. This space houses new floor-to-ceiling bookshelves with an extensive Jewish library and, thanks to a generous donor, a beautiful antique ark that came from Congregation Tiferet Israel in Revere after it closed in 2016. It also features a community art project, made up of quotations and blessings from residents and staff. 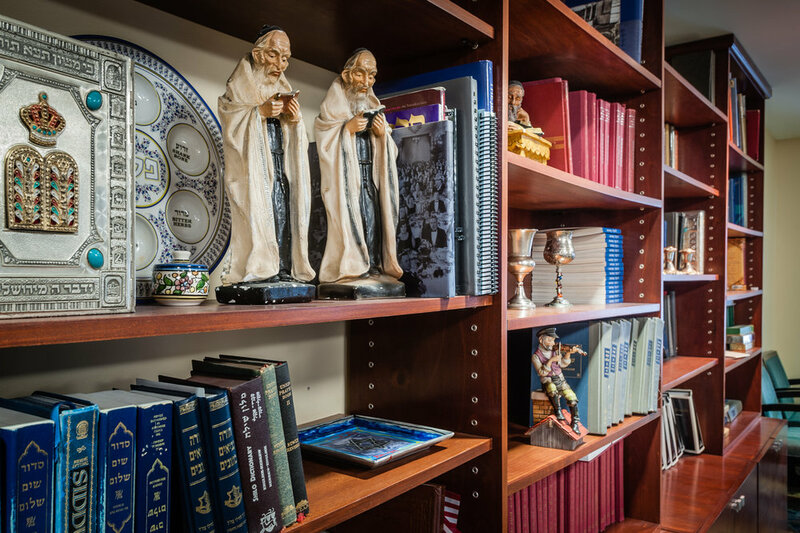 A truly multipurpose space, the Community Room also houses exercise programs, films, lectures, and social events, all under the watchful eyes of the statues of rabbis on the bookshelves, which like the other Jewish objects on display, were donated by residents and friends of Danesh. Built in 1971, 100 Centre Street was acquired by Hebrew SeniorLife in 2002. In addition to 214 apartments for older adults and disabled people across a range of income levels, the building houses offices and community spaces, not least of all a tenth-floor dining room with spectacular views of the surrounding area, including the Boston skyline. Members of the public are warmly invited to participate in our spiritual programming.